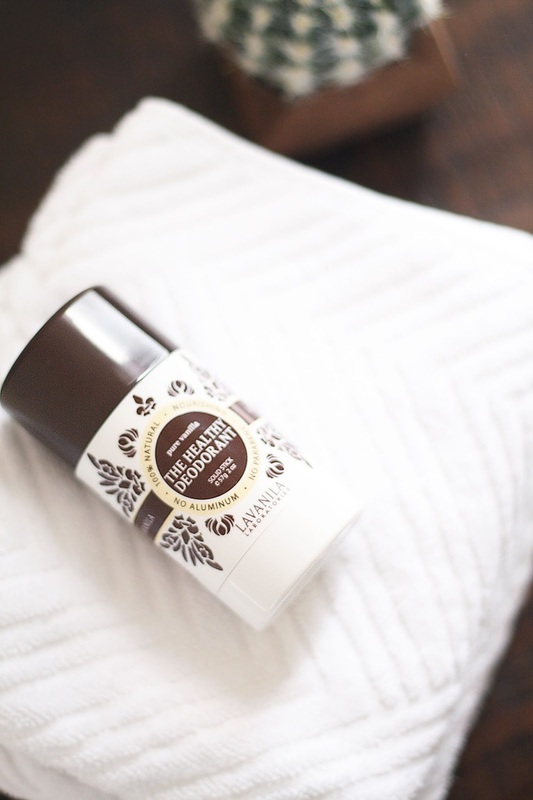 A slightly different beauty post today, I'm talking about deodorants. I thought I should write about this product and why I chose to go for a more natural alternative than what I've exposed my body to for as long as I can remember. Keep reading to see why! A few months ago I discovered a lump in my armpit and automatically I freaked out and thought the worst. (my mom discovered her breast cancer the same way) It turned out to be nothing more than an infected hair follicle but during the week I waited to pluck the courage and go to my doctor I did some research into what it could be and the causes etc. When my research led me to deodorants and how harmful many of the drugstore brands are I instantly wanted to make a change. If you didn't know many deodorants contain aluminium, I know pretty shocking, what is metal doing in a product you use in such a delicate area of your body? Aluminium is used because it temporarily plugs the sweat ducts to stop you perspiring. It basically stops your body from getting rid of toxins which then find their way to lymph nodes and may cause cancer. Changing your deodorant is such a small change but it can have a big impact on your health. There are quite a few healthy options on the market but I chose LAVANILA because they had some great reviews, also my local whole foods stock 3 different LAVANILA scents so it was pretty accessible and I could pick my favourite fragrance. 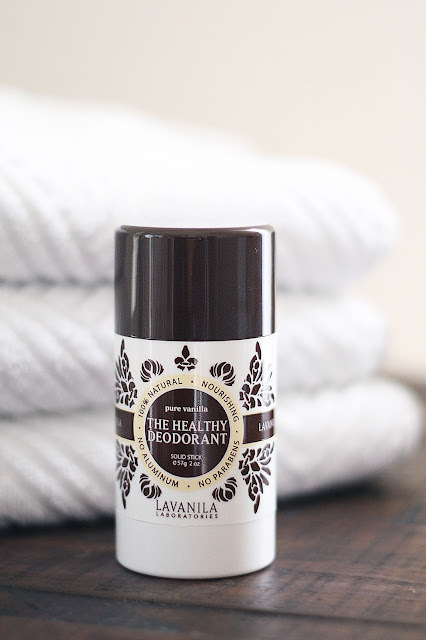 The healthy deodorant is cruelty free, vegan and contains no nasty paraben or aluminium. What is does contain is aloe to hydrate and sooth the skin. Beta glucan technology, to help break down sweat molecules and effectively prevent odor while nourishing the delicate skin. Lemon peel oil, to serve as a purifying and antibacterial agent, it also adds a fresh and clean aroma. I chose the pure vanilla scent because I am the biggest vanilla fan, it has a very fresh and sweet fragrance which isn't overpowering. The deodorant is a stick formula that is easy to glide over delicate skin and doesn't leave any nasty white marks on skin or clothes. It does feel very moisturising but not at all heavy. It is not as strong as my usual unhealthy deodorant, I definitely sweat when i'm working out and if its a hot day but even though I do sweat there is no horrible odor so a big thumbs up for that. If you are looking for something to keep you 100% dry this product isn't for you. For everyday use I think this is great, but for those super hot days or gym sessions I will have to find another option. LAVANILA do offer a sports luxe version for high performance so I am definitely going to give this one a try too! Would I repurchase? 100% I am happy with how the deodorant has performed so far and I am looking forward to trying more from the range including the new Sports Luxe option and The Healthy Sunscreen! Have you tried any products from LAVANILA before?